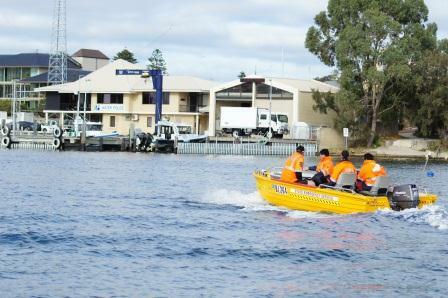 Flood Boat Rescue Crews and the Fremantle Water Police met yesterday, to learn about each others capabilities. Although a surprise to most members; this was organised as part of Canning and Belmont SES units continuation training program. 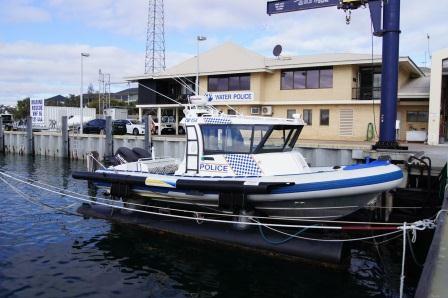 It was perfect timing as the Water Police had just launched a new $2.28million purpose-built boat to assist in search and rescue operations. 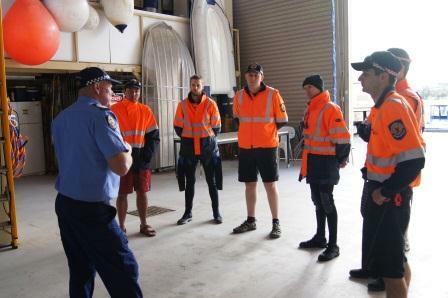 Firstly we started with a tour of the Water Police facilities, where Senior Sargeant Greg Trew spoke about their capabilities including how the SES may assist them in a range of operations. We also viewed their communications centre before touring their 2 main vessels. Their new vessel, named Cygnet 5 (a 17m vessel), is amazing to view, with state of the art technology, strength and power, and the capability to travel 380 nautical miles without refuelling. This vessel is specifically designed for their main operations being marine crime and to carry out dive operations for crime scene evidence search and recovery. Then there’s a 10m and 8m Naiad which are more commonly used due to their ease of movement and remarkable speed, although it has its downfall being no ‘facilities’. All their vessels are well designed, making use of available technology but maintaining consistency across their vessels. 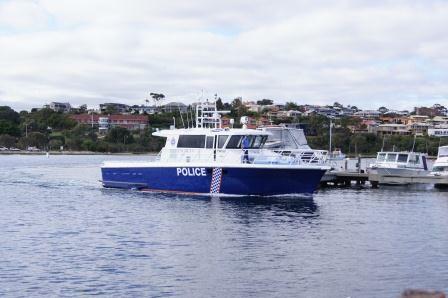 From here Senior Sargeant Trew and Senior Constable Bruce Rodgers were familiarised with our vessels from Canning and Belmont. Trainer Assessors Suzi Hayward and David Read, provided the Water Police with information on the SES response and vessel capabilities; specifically their limitations and advantages. We spoke about our crew qualifications and competencies, including the expectations of crews responding to a flood. 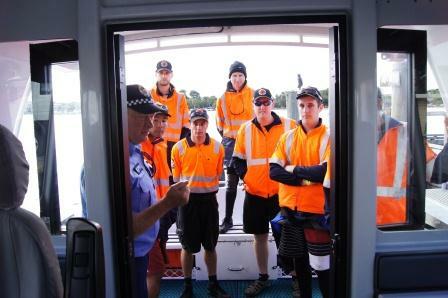 The visit built a relationship between the SES flood rescue units and the Water Police who identified ways we can assist with their operations such as with water searches, and working with their divers. Which in turn identified future training requirements for not only the SES, but inter-agency training opportunities as well. Both SnrSgt.Trew and SnrCon. Rodgers really had a lot of respect for what we do, and value our contributions and assistance as volunteers. We appreciate the time they took from their day, and hope this collaboration will help bolster both our services to the community.